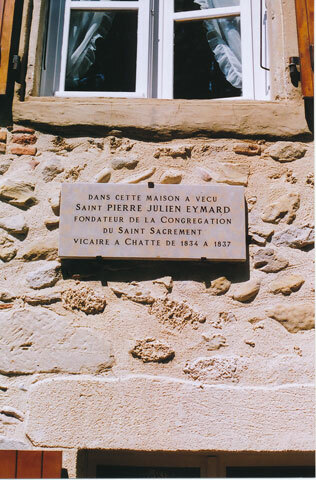 Eymard’s residence at Chatte in the 1830s is commemorated by a plaque on the wall of the former rectory building opposite the present church. The plaque was installed in 2004 to mark the 170th anniversary of Eymard’s arrival in the town. 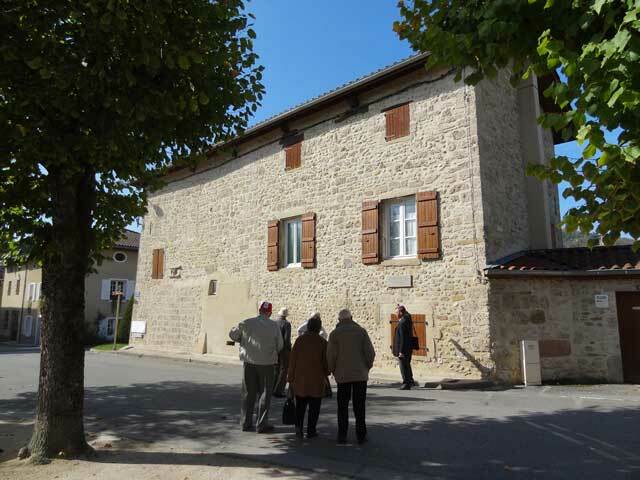 In October 1834, Eymard’s first pastoral appointment in the Diocese of Grenoble was the position of assistant-priest at Chatte, a small farming village about sixty kilometres west of Grenoble. As a young priest here, Eymard worked hard to complete his studies and to develop his skills as a preacher. ‘I must learn to speak to the hearts of people’, he wrote. Eymard read the Scriptures every day and prayed before the Blessed Sacrament in the mornings and evenings. 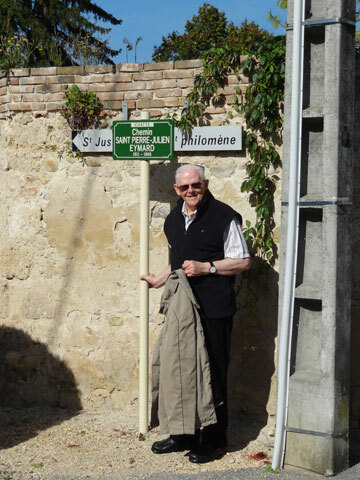 He devoted himself to the parish ministries of celebrating Masses, visiting the sick, counselling and hearing confessions, and the religious instruction of children. He also gained a reputation at Chatte for his generosity to the poor. So often did Eymard share his meagre stipend with those in need that the locals began to call him ‘le panier percé’ (the leaky bucket). It was during his term at Chatte that Eymard became familiar with the Calvary at the nearby rock of Saint-Romans, where he received a special grace that he would treasure throughout his life. Eymard remained at Chatte until mid-1837, when he was appointed parish priest at Monteynard.